I was intrigued when I saw the demo of NBA 2K19 from 2K during Apple’s iPad Event. I have owned previous versions of this game on several platforms, most recently 2K17 on the original 12.9″ iPad Pro and 2K18 on the Nintendo Switch. The iPad version was one of the first games that I played with an MFi Bluetooth game controller. I actually put some time in it, but I also didn’t have any real gaming alternatives at the time. The game was ok, but could be pretty slow and plodding. However, what kept me coming back was the possibilities of gaming on a really nice, portable 12.9″ display. That is an experience that other devices at the time couldn’t match. The Nintendo Switch version of 2K18 didn’t have the visuals to match up with the XBOX One or the PS4, but it had great controls and played on hardware that is really portable and more versatile. While the 12.9″ screen of the iPad Pro is intriguing, the better gaming experience and increased portability of the Switch won out easily. I have played a ton of FIFA 18 and NBA2K18 over the last year because I was able to take a really good gaming experience with me anywhere I went. When I was saw the 2K19 demo at the Apple event, I wondered if this version might be a little closer to the real thing. Apple has turned the iPad Pro into an absolute powerhouse. Could that get game developers to really take notice? The visuals as described on stage certainly seemed to fit the part. While the Switch version of the game is solid, it costs $59 vs $6.99 for the iOS version. At this price difference, a game doesn’t have to be just as good. It just has to be good enough. After a few days kicking the tires on 2K19, I think the presentation of this game on stage was overlooked. 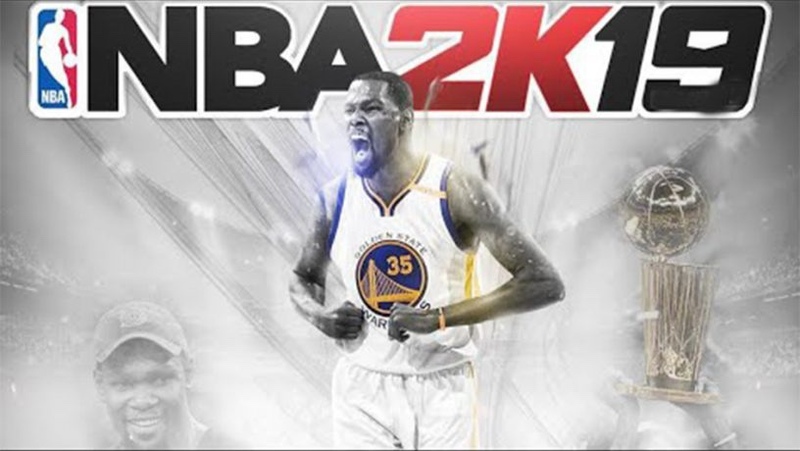 While I’m in no hurry to rush out and buy 2K19 for the Switch, I would still choose it and its better controls and better overall experience. The bottom line is, even though the iOS version of the game is an improvement over the version I played a couple of years ago, it is still just a mobile game with a little extra polish. Is it worth seven bucks? Definitely. Is it good for what it is? Sure. Does it even approach console quality? No. Not even remotely close. That last part illustrates the issue with how Apple set up expectations with their demo. When you makes claims about having “console quality” visuals and name drop the XBOX One on a stage in front of the tech press and other media members, you had better deliver. When you set up a particular app to deliver this message, it had better do the job. While NBA 2K19 is a good basketball title for iOS, it is no console competitor. It’s not even a valid comparison, frankly, and Apple giving people that impression is just silly. To be honest, I am a little disappointed in the visuals they pumped up so hard, as they still don’t look outstanding on the iPad’s screen. They are good, but they didn’t deserve the kind of praise they got on stage. Apple has such a strange relationship with gaming and always has. macOS was never much a gaming platform and frankly still isn’t. Apple tried to release a game console years ago, but it went nowhere. Then, very suddenly and likely by accident, Apple stumbled into becoming the largest mobile gaming platform on the planet. The combo of the iPhone and the App Store caught fire thanks to the combo of the solid foundation that Apple provided and the hard work of many developers. Apple has milked this cash cow of mobile gaming for all its worth. They also LOVE to talk about how popular iOS is for gaming. But that is all they have done beyond lip service. They definitely do deserve credit for creating a platform that mobile game developers love, but they have done so little beyond that and I can’t help but feel disappointed. They had an opportunity to use the iPad to push further forward into gaming. They didn’t. They had the Apple TV poised and ready to make a play into gaming on the larger screen for over three years before they finally made a move. They were late bringing iOS to the TV and then the delivery was terrible. They botched it and everyone moved on before they went back and fixed some of their early mistakes. I could go on, but I won’t. I didn’t have any expectations that my new Pros would even compete with my Switch as a gaming machine. However, I did think the game they demoed on stage might impress me. It didn’t. At this point, I just wish Apple would stop talking about gaming. They don’t care about any aspect of it beyond easy money it deposits in their bank account. They will never do anything with gaming beyond that. If you see them tout anything about it on stage at a future event, just ignore it. When it comes to gaming, Apple is all talk and no show.